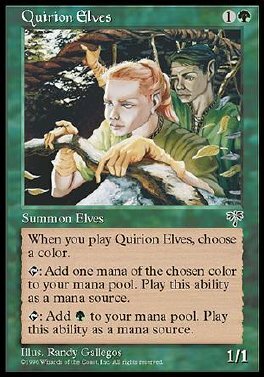 As Quirion Elves comes into play, choose a color. T Add G to your mana pool. T Add one mana of the chosen color to your mana pool.